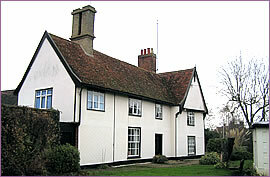 In the late 1600s Thomas Mills lived and worked in Framlingham. He was a trained wheelwright, a timber merchant and he was a dissenting Baptist. He was a wealthy man inheriting a timber importing business in Wapping from his wife. Thomas also owned land in Dallinghoo, Dennington, Parham, Ufford, Pettistree, Wickham Market and Framlingham. When in Framlingham he and his wife would stay in Tomb House. In secret, Thomas would meet fellow Nonconformists at Lincoln's Barn, which was conveniently discrete and away from prying eyes. Thomas Mills died in 1703 and being a dissenter he was not offered an Anglican burial in the churchyard; he was buried in a tomb in his garden. His trusted servant William Mayhew is also buried in this tomb. J and F Packard have written a concise history of Thomas Mills's life. 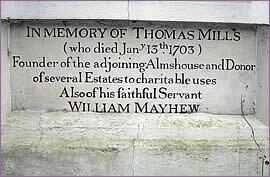 Under the terms of Thomas's will The Mills Charity was established. The influence of Thomas Mills on Framlingham over the years has been extensive. 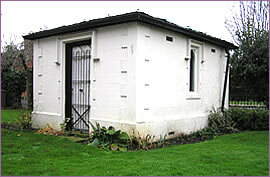 He funded the building of the Unitarian Meeting House and the adjacent house. He founded The Mills School, which became The Mills Grammar School and which is now Thomas Mills High School in Saxtead Road. The eight Mills Almshouses in Station Road were built under his and William Mayhew's wills. Through Thomas Mills generosity the Charity has helped many organisations and people over the last three centuries. Seven Trustees now administer the Scheme. The same Trustees also administer the Mills Educational Foundation, assisting education of Framlingham children or children at school in Framlingham.